Tamales last night turned out to be a success! I think next time I need to use just a bit more liquid in the dough because they stuck to the husks a bit. I noticed that when I added more liquid about halfway through, the dough was easier to spread on the husks and didn’t stick nearly as much. Another thing I would do a bit differently, is to roll them within the husk before sealing up. 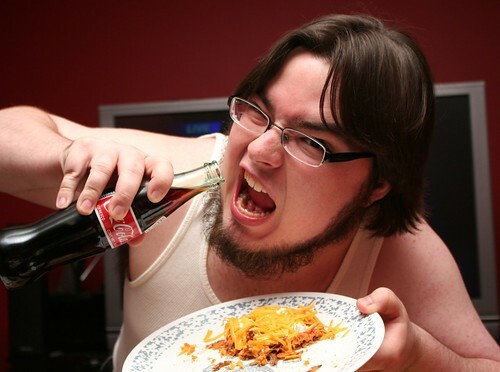 I didn’t realize I should have been doing that until after. Oops! 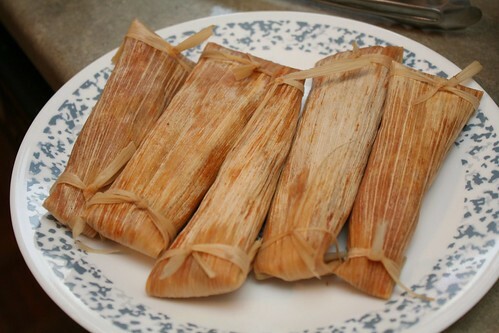 The recipe I used was Grandma Salazar’s Tamales from Delicious Days blog. Even only making a half of a batch, I ended up with enough leftovers to freeze for three more meals. They are a bit labor intensive if you’re doing it by yourself like I was, but totally worth it, I think! There’s some more pictures of the whole process here. I may have fibbed that I put aside the Textured Circle Shrug yesterday. I ended up going home and working a few more rows of it. Knitting with bigger needles after so long of using US size 4 and below was strange! 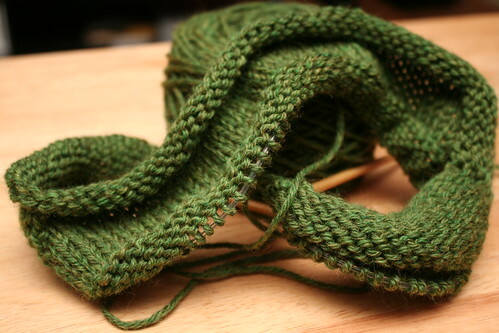 My hands seemed a bit more tense when I started on it, but loosened up a bit after a few rows. Still, they felt better when I put it aside to work on the Camber Cardigan on US 4’s. I really need to make tamales. Don’t know where I’d get the husks, though. 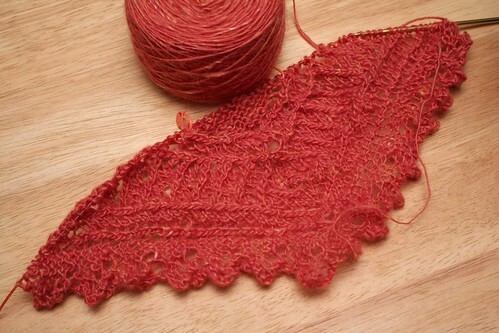 The Brandywine Shawl is gorgeous.